European Union finance ministers meet without Britain in Brussels on Monday (6 November) to try to iron out their differences on plans to reform the euro in the wake of the shock Brexit vote. They will prepare for a leaders’ summit on December 15 to discuss proposals by French President Emmanuel Macron and European Commission chief Jean-Claude Juncker. The 27 EU ministers will discuss three key issues that go to the heart of making the euro more politically and economically unified, so it is more resilient against future crises. These are creating a unified eurozone budget that could be used to respond to a crisis; simplifying the EU’s budgetary discipline rules; and finally completing a “banking union” that removes restrictions between lenders across the bloc. “We will listen to the ministers” but “they will not decide anything”, a senior EU official said, adding that they would merely “touch base” on the main issues. 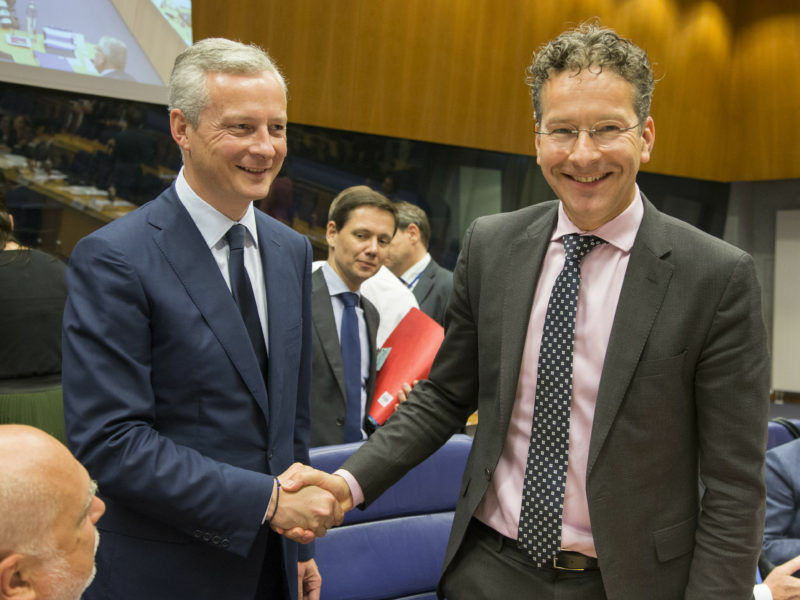 The meeting will include the Eurogroup of 19 countries that use the single currency plus seven others that signed the 2012 European fiscal pact during the eurozone debt crisis. The Czech Republic, which has not signed the treaty, and Croatia, which was not an EU member when the treaty was signed, will also both be invited as observers in a bid to build unity behind plans for a key part of the European dream. But Britain will be left out in the cold, as it did not sign the pact, and is also set to leave the EU in 2019 before most of the planned reforms will take effect. One of the most complex subjects will be simplifying rules for EU and particularly eurozone budgets, which governments have to keep under tight control to escape sanctions from Brussels. “The documents on this subject take weeks to read,” one official said. In his speech on the State of the Union, Jean-Claude Juncker insisted on the extension of the eurozone, but not on its deepening. He fears the two-speed Europe defended by Emmanuel Macron. EURACTIV France reports. But if the Europeans agree on the need for reform, they are divided on how to achieve it with France traditionally taking a more easy-going line than austerity-loving Germany. The question of the eurozone getting its own budget, an old idea recently dusted off again by Macron as part of his grand vision for post-Brexit Europe, is also complicated. 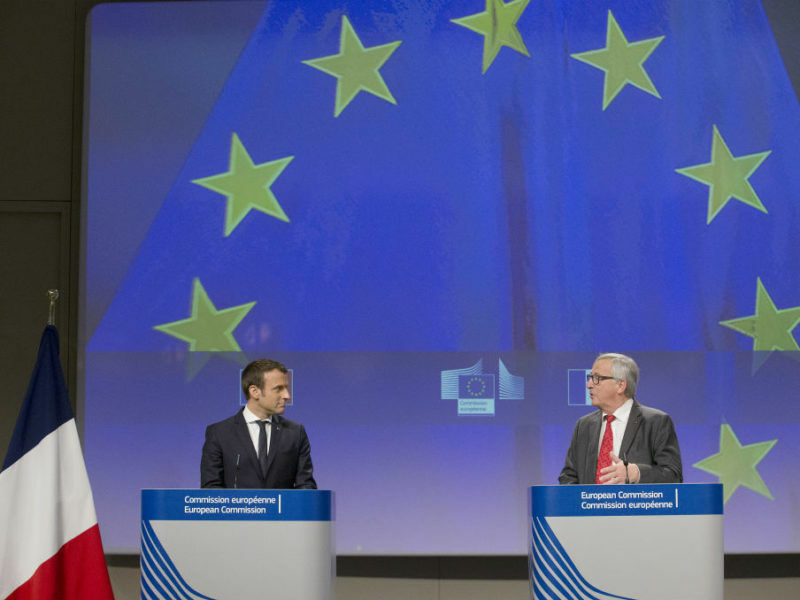 Paris wants a big budget as a show of European solidarity in the face of financial shocks, whereas Juncker wants to make it smaller-scale – a line favoured by the Germans. 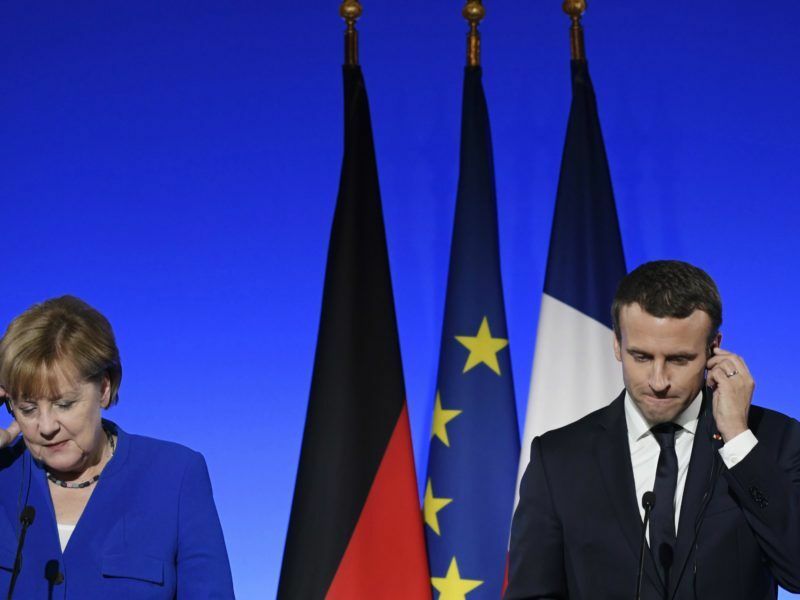 Angela Merkel may be too busy holding together an unwieldy coalition to act as an effective partner for the French president’s bold plans, which he will outline on Tuesday (26 September). 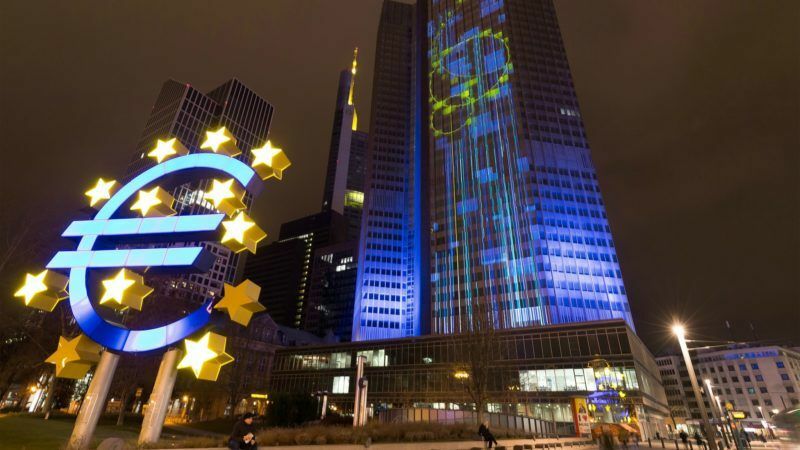 Banking union and a system of deposit guarantees to prevent bank runs will also be on the agenda, with the EU keen to finally finish plans that have been on the drawing board since the eurozone debt crisis started. 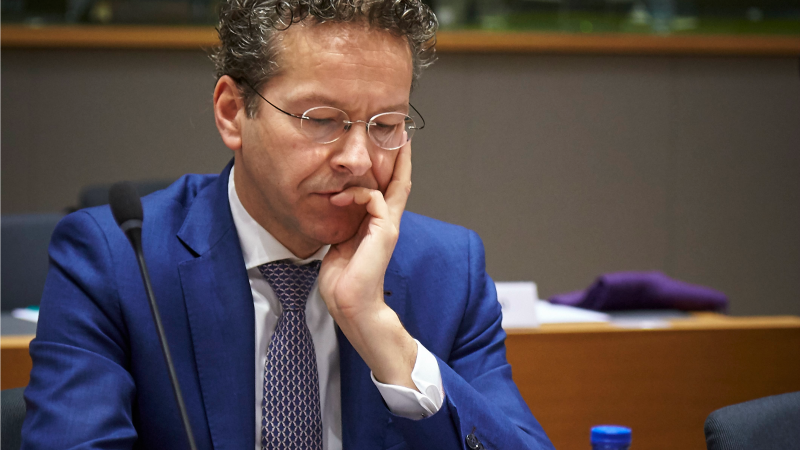 One further issue they are likely to discuss is the next head of the Eurogroup, to replace Jeroen Dijsselbloem of the Netherlands, who steps down in January. There is no official candidate but rumoured frontrunners include Portugal’s Mario Centeno, Slovakia’s Peter Kazimir, France’s Bruno Le Maire or Luxembourg’s Pierre Gramegna. EU economics commissioner Pierre Moscovici’s name has also been mentioned although ministers appear more likely to go for one of their own. A formal decision will be made on December 4. Acting Dutch finance minister, Jeroen Dijssselbloem will continue as Eurogroup President until the end of his mandate in January, various eurozone officials told EURACTIV.com, quashing speculation that he would step down earlier following an election rout at home.